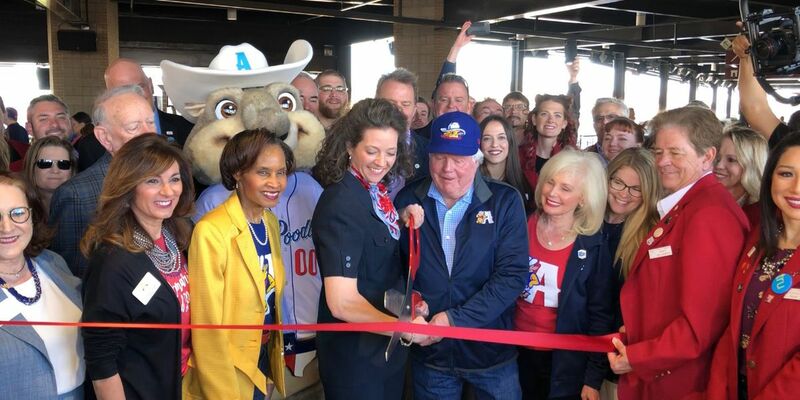 AMARILLO, TX (KFDA) - The Amarillo Sod Poodles hosted a public ribbon cutting early Thursday afternoon to officially open Hodgetown to the public. Mayor Ginger Nelson spoke about how the stadium would affect the present and future of Amarillo. The stadium’s namesake, Jerry Hodge, also talked about finally getting affiliated baseball back in Amarillo. The Sod Poodles played their first game of their inaugural season on the road in Corpus Christi Thursday night. Hodgetown held a soft opening for suite holders and season ticket holders, where they watched the game on Hodgetown’s video board. The Sod Poodles fell 5-2 to the Corpus Christi Hooks in their season opener. They have two more games in Corpus Christi before returning back to Amarillo for Monday’s home opener.